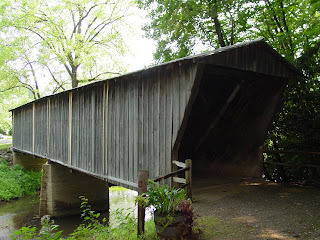 Patrick County, where the Inn is located, is the home of 2 of VA's eight authentic timber covered bridges - Jacks Creek Covered Bridge and Bob White Covered Bridge. Both of these bridges are located within 5 miles of the Inn and are ruggedly beautiful examples of a very few landmarks that are preserved today. 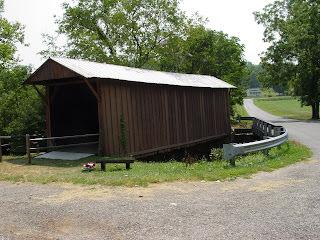 Every June, Woolwine hosts the VA Covered Bridge Festival to commemorate these wonderful pieces of history. The festival includes live bands, numerous artists and craftsmen exhibiting and selling their products, and food vendors. There will be wagon rides, tractor pulled hay rides and antique car rides providing travel from one covered bridge to the other. For more information, visit the VA Tourism site. Make plans for a stay at the Inn. We'll pack you a picnic lunch to enjoy while visiting these incredible sites.